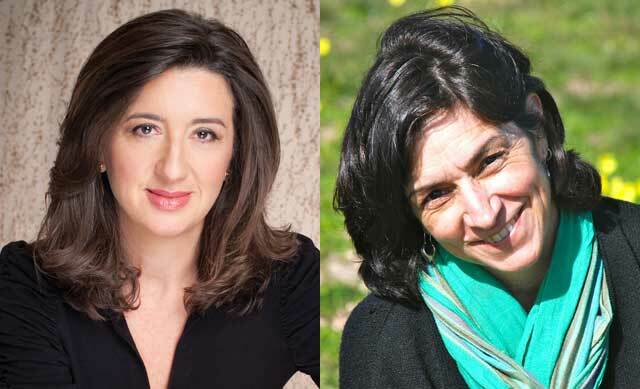 Join us for a three-hour writing workshop in a safe, comfortable setting with novelist Anita Amirrezvani and poet/editor Persis Karim. assisted in getting your story on the page as fiction, non-fiction, or poetry. techniques to strengthen your writing and offers supportive feedback. Anita Amirrezvani: Her first novel, The Blood of Flowers, has appeared in 31 languages and was long-listed for the 2008 Orange Prize for Fiction. Her second novel, Equal of the Sun, was published 2012. Anita teaches in the MFA Program in Writing at the California College of the Arts. Persis Karim: She has edited three anthologies of Iranian-American literature including A World Between: Poems, Short Stories and Essays by Iranian Americans, Let Me Tell You Where I’ve Been: New Writing by Women of the Iranian Diaspora . Her poetry has been published in numerous national journals and magazines. She teaches literature and creative writing at San Jose State University. I miss my first cellphone that my parents gifted to me after I finished my high school. A very basic Nokia model that was just capable to send messages, and dial numbers. And it also had Snake II — a game that I did not like particularly yet played when I was bored. I miss that phone terribly. It rang when someone wanted to reach out to me and it delivered messages to my friends I wanted to hang out with. Otherwise, it used to just lay around somewhere on my study table.But that phone was way better than my current smartphone. Why? My current smartphone is similar to a clinging boyfriend; updating me about my whereabouts, notifying me about my daily schedule, making me look stupid by staring at it for hours, and isolating me from my surroundings. Oh! I wish I could get back that Nokia 3310. Join our library group, headed by Bruce Hasse, for an informal gathering of aspiring writers of all types of genres. Your writing can be memoirs, creative non-fiction, poetry, song lyrics, science fiction, plays,essays, you name it! We just want to hear what you have written and support each other as we grow as writers. Third Tuesday of the Month: September 19 , October 17 , and November 21 1 p.m. — 3 p.m.
Bring your broken electronic , small appliances, computer, toy, etc. for assessment, disassemble , and possible repair. Bring and fix your broken small electronics, appliances, bikes, and toys (or at least learn more about them) with the help of fixit coaches. A textile/clothing coach will also be available. We provide the workspace, tools, and coaches. This is an all-age do-it-together (D.I.T) repair event. Social media guru, Julie A. Gerber and award-winning author of forty-three best-selling, independently published books, Carole P. Roman, team up to travel the winding road of self-publishing, promoting, and marketing a book. Join these two self-help experts as they share their vast store of experience in an easy to read, comprehensive guide, complete with end of chapter checklists to keep an author on track.Learn the importance of a beta reader and the value of a good editor. Know what’s needed when preparing a list for choosing an illustrator. Compare the many ways to promote your book. Find out what each step can cost and where you can save. This guide takes new independent authors from the first draft, through publication and the complicated world of marketing. Included is a directory of resources to help get there faster.Navigating Indieworld will end up being the ultimate travel guide for writers on their journey to published author. Internationally bestselling author Carmine Gallo reveals the secrets to telling powerful, inspiring, and game-changing stories that will help you achieve any goal. The good news is that anxiety, guilt, pessimism, procrastination, low self-esteem, and other “black holes” of depression can be cured without drugs. In Feeling Good, eminent psychiatrist, David D. Burns, M.D. outlines the remarkable, scientifically proven techniques that will immediately lift your spirits and help you develop a positive outlook on life: Recognize what causes your mood swings, nip negative feelings in the bud, deal with guilt, handle hostility and criticism, overcome addiction to love and approval, beat “do-nothingism”, avoid the painful downward spiral of depression, build self-esteem, feel good every day!